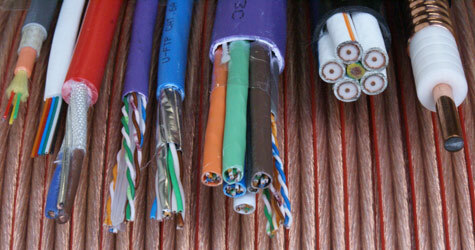 Qing Cables Ltd, with well over 20 years of highly successful trading to it’s credit, is today one of the leading companies in the field of specialist communication cables, with access to some of the best manufacturing technology throughout Europe & the world. We offer a comprehensive, but ever expanding range of high quality cables for use in applications, including Data, Telecommunications, CCTV/Security, and Broadcast. Large stocks are held in our warehouses in Cheltenham, which are augmented by a wealth of product & market knowledge and an ability to supply cables designed to customer specifications, meaning we are able to fulfil most requirements. Careful examination of samples and specifications allows our experienced sales staff to offer exact and/or alternative solutions to your needs. This is a product of our ongoing staff training program which is tied into our BS EN ISO9001 Quality Management System that has been running since 1991. Our aim is to manage our customers cable programme, working closely with them to find the most innovative and cost effective solution possible, successfully delivering to multiple branches, or discrete, “direct to site” deliveries when required. We pride ourselves on always giving accurate delivery schedules necessary to ensure that our products are delivered on site, on time, and in good order. Our QM System incorporates stringent Health & Safety Guidelines, and has been expanded to include our Environmental Policy, which has seen our landfill waste reduced by more than 90% within 3 years. © Copyright Qing Cables 2006. Reg Company No. 2181405. Every care is taken to ensure all information contained in this publication is correct. No legal responsibility can be accepted for any inaccuracy.The company reserves the right to alter or modify the information without notice. E&OE.